If you have arrived from Wikipedia (https://en.wikipedia.org/wiki/New_Technologies_Demonstrator_Programme#The_scheme) the quick link to an updated copy of that original article cited is available on the MRW website here. All 9 of the Governments New Technologies Demonstrator Programme jobs have actually now been signed. The Department for Environment, Food and Rural Affairs (Defra) has validated them to commence. The plants, which will as specified in the brief, cover the five treatment techniques of gasification, in-vessel composting, mechanical biological treatment (MBT), anaerobic food digestion, and aerobic digestion, are due to all be working by April 2008. 2 of the tasks, the Bioganix in-vessel composting plant in Leominster and the Greenfinch anaerobic digester in Ludlow, are already at operational stage. While the Cambridgeshire-based ADAS/Envar in-vessel composting plant and Premier Waste aerobic digestion plant in Durham, are due to be operational by April 2007. The Novera gasification plant in Dagenham, Energos gasification plant on the Isle of Wight, Yorwaste gasification plant at Seamer Carr in Scarborough, Compact power gasification plant at Avonmouth, and Fairport Engineering MBT plant in Merseyside must be functional by April 2008. Head of New Technologies Dave Brooks stated the aim was for the scheme to be completed by April 2009, so that all of the plants would have been functional for a minimum of a year allowing for full assessment and reporting of their success or failure. The Demonstrator Programme aims to prove, or disprove, the financial, ecological and social practicality of the chosen innovations, with visitor centres built-in to allow for for visits by those in local and regional authorities and the waste sector to find out more about them. 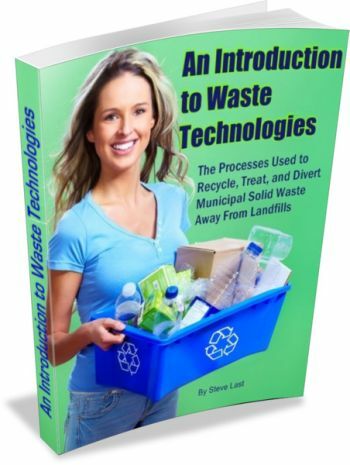 He added that it was not the aim for the demonstrators to accomplish the 2010 land fill diversion targets, which are dependent on recycling and the procurement of alternative land fill technologies such as MBT, composting and incineration. The 2013 targets would be a more reasonable objective for the demonstrator jobs to go for. 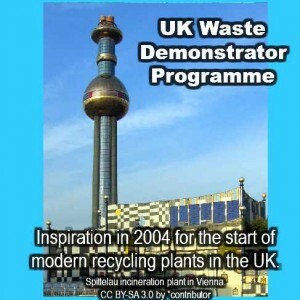 The demo plants that are up and running now might make a big impact before 2010 and there is no reason to stop them from contributing to the UK landfill waste diversion targets. But they are not options yet, and they are still being trialled and demonstrated, he said. Thanks for an interesting flashback to the Government’s New Technologies Demonstrator Programme. Looking back, it was this that showed how really quite simple biogas facilities could produce biogas from the organic fraction of MSW, and started a lot of people thinking. Hey. This could work?! Now look at how many large AD plants there are working after MRFs in MBT facilities. One of the demonstrator projects included the construction of a novel vertical aerobic composting system which was in a building to stop odours escaping so could be built in towns near houses, and had a very small footprint area, because it was vertical. Your article is good so far, but where can I find information on that composting system now? It was a very progressive move for the UK government to spend money in the demonstrator programme to help a struggling technological improvement take place. This is a good model for other governments to copy, when technology needs to be developed for the national and global good. Has it been done since in other countries? Hello there! Do you know if any of the original plants are still working? If they have shut-down did the funding achieve a good result?